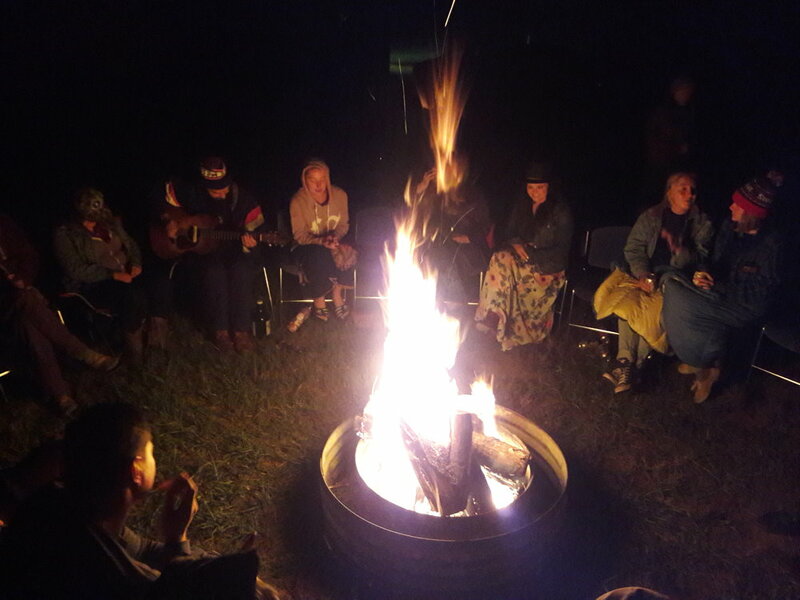 LivelyLands Under the Stars: Camp With Us! Why go home when you’re having so much fun? Luckily, you don’t have to leave LivelyLands when the “official” music is over. Keep your groove on into the night at by camping out with LivelyLands artists and staff at the Indigo Bluffs RV Park & Resort, just east of the festival grounds at 6760 W Empire Hwy (M-72). Our friendly Indigo Bluffs hosts are offering a special rates for LivelyLands sites starting at $27 per night for a 2-in-a-tent with electricity. Yes, there are fire pits. Guitars are welcome. If you stay over Friday night, you are invited, no, entreated, to drag your groggy self out of your tent for Saturday morning for Acoustic Yoga at the campground. Stretch it all out to peaceful Mark Lavengood tunes and Grand Rapids based instructor Carrie Labarge. Namaste. After the Jubilee on Saturday evening, Indigo Bluffs campers will regroup at midnight for an acoustic set with Jason Weems, Taj Matuszak, and Bill Davis under the stars. Yes, the stars are amazing out here. And so are these three fine singer songwriters. While we can’t guarantee you’ll see the Northern LIghts -- although that would be really cool -- we can promise that you will sleep sweetly with tunes and stories of Jason, Taj, and Bill echoing in your ears. You KNOW you want to camp with us, so don’t wait to reserve your site. Call Indigo Bluffs at 231-326-5050 now, and tell them you're coming for LivelyLands to access our special rate. We’ll leave the flashlight on and roast a marshmallow for you!